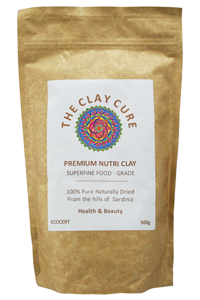 The Clay Cure Company Premium Superfine Food Grade Nutri Clay is considered a powerful yet gentle detoxifier. Taken on a regular basis it can cleanse and draw out toxins, metabolic wastes and pathogens from the body. 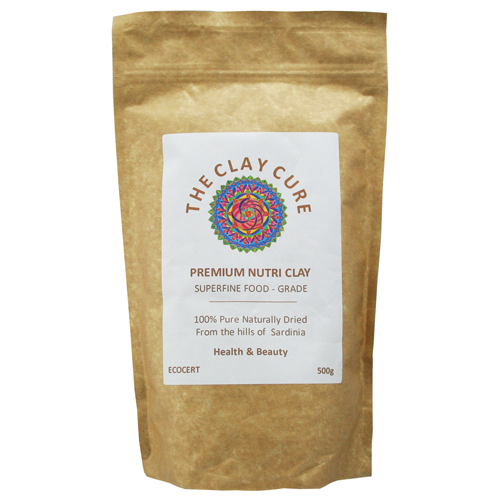 Premium Superfine Food Grade Nutri Clay has an alkalinity of 8.5ph, greatly restricting the levels of yeast and fungus that may thrive in an acidic environment. Nutri clay is ultra pure, clean, allergen free and high in beneficial trace elements making it the clay of choice for internal use. For general health maintenance, take a heaped teaspoon (non metal) once a day in a glass and add spring water. Let rest for a few hours or overnight. Drink on an empty stomach. Take for a period of 3 weeks with a one week break after. Continue this process for 3 months.